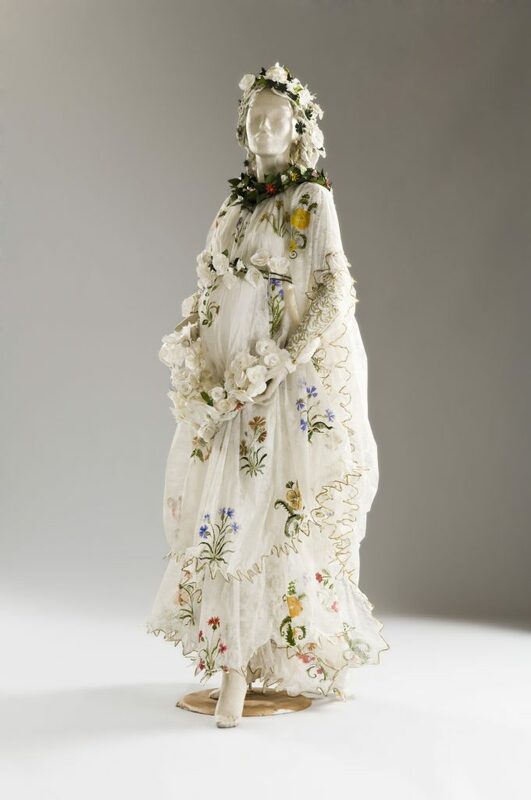 De Borchgrave began working in trompe l’œil paper works after a visit to the Met in 1994 and eventually made four major paper fashion collections. These have been brought together for the first time in an exhibition by Dixon Gallery and Gardens with the Oklahoma City Museum of Art. The first, Papiers à la Mode (Paper in Fashion) covers three centuries of fashion history from Elizabeth I to Coco Chanel and was made in collaboration with renowned Canadian costume designer Rita Brown. 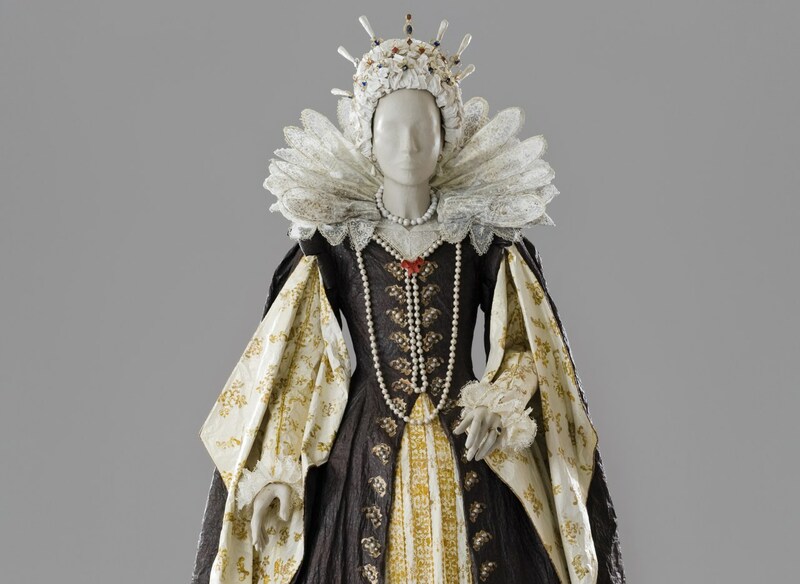 As it travelled through its first exhibitions de Borchgrave expanded it with costumes from the wardrobes of Queen Elizabeth I, Marie Antoinette and the Empress Eugénie, consort of Napoleon III, while it was in Japan, and adding Ottoman kaftans in Turkey. The World of Mariano Fortuny recreates pieces from twentieth-century Venice. Splendor of the Medici leads visitors through the streets of Florence, where they come across famous figures in their rich ceremonial dress. In Les Ballets Russes, de Borchgrave pays tribute to Sergei Diaghilev, Pablo Picasso, Léon Bakst, and Henri Matisse, who all designed for this extraordinary ballet company. The collections are being displayed together for the first time in a new exhibition by the Dixon Gallery and Gardens with the Oklahoma City Museum of Art. Organizing partner Frick Art & Historical Center commissioned de Borchgrave to create a gown inspired by a special work in their collection: Peter Paul Rubens, Portrait of Charlotte-Marguerite de Montmorency, Princess of Condé, ca. 1610. Both the dress and the original Rubens portrait will be on view in this exhibition. If you’re impressed by historical costumes made out of paper you’ll be amazed at what these wedding dresses are made of! 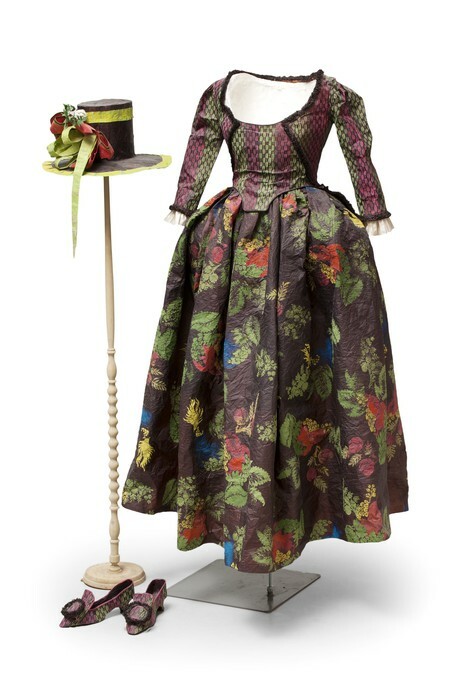 Photo: Andreas von Einsiedel;Isabelle de Borchgrave, Flora, 2006, based on the ca. 1481-82 painting La Primavera by Sandro Botticelli in the collection of the Galleria degli Uffizi, Florence. Header image: Photo: Andreas von Einsiedel; Isabelle de Borchgrave, Maria-Maddalena d’Austria, 2007, based on a 1622 portrait of Maria-Maddalena with her son Ferdinand II by Justus Sustermans in the collection of the Flint Institute of Arts, Flint, Michigan.